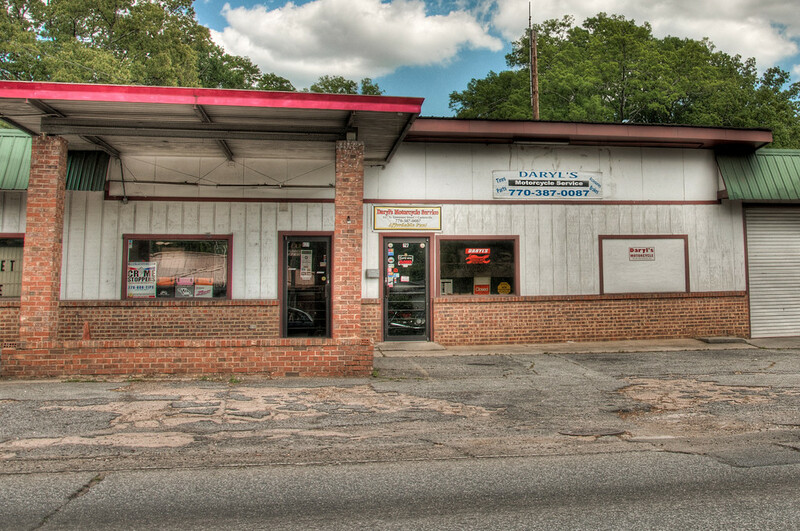 Daryl's Motorcycle Service | Just Shooting Memories! I have a kinda normal name, but not the most common spelling of that name. I was driving around the other day when my wife told me to look over at the store next to us. To my surprise, I saw Daryl’s Motorcycle Service. I was intrigued enough to grab the camera and get a few shots before moving on down the road. It was unusual to see my name spelled right. I was the one growing up not being able to find my name at any of the cool touristy type gift shop places. I also could not believe that my name was associated with a motorcycle shop. Once I saw that, I half expected my wife to accuse me of a side part time job working on motorcycles, which means I would have to be able to ride. She would not be agreeable to that.